There are many ways to group your browser tabs in Vivaldi. 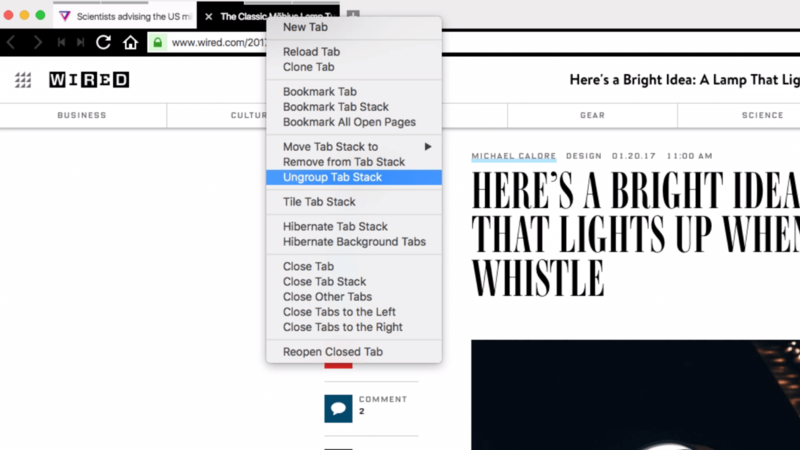 You can organise your open tabs into groups called Tab Stacks to reduce clutter. Tab Tiling allows you to create unique split screen views of your tabs and browse several websites at the same time. To ungroup a Tab Stack, Right-click on a tab stack and select -> ‘Ungroup Tab Stack‘.